Will Code Black return for another season? Deadline reports series creator Michael Seitzman has signed a new two-year contract with ABC Studios, the studio behind the CBS series. The medical drama stars Marcia Gay Harden, Raza Jaffrey, and Bonnie Somerville as staff members of an underfunded and understaffed Los Angeles hospital. Though CBS has not announced a renewal yet, the new contract suggests the series could return for a second season as ABC Studios clearly wants to stay in business with Michael. The drama’s first season performed decently in the ratings, receiving an average of 1.27 in the 18-49 demo and 7.114 million viewers. Additionally, ABC Studios seems to support the show. What do you think? 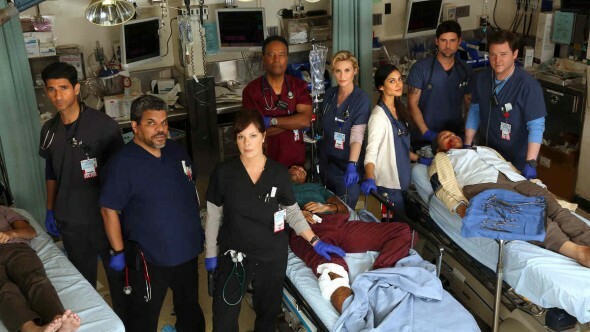 Did you watch season one of Code Black? Would you like another season? Please renew! It’s a great show and I look forward to watching it. Please! Love the show. Definitely renew it. We love this show! There is not much worth watching on TV anymore, so we always look forward to watching a good, well written show. The actors are great and we love them all!! Please keep Code Black on the air for those of us who are sick of crime and reality shows!! This is good show. Please renew. Yes! Marcia Gay Harden, Oscar winner, is incredible. There was a lot of competition for that time spot and the show still did well. Keep the show coming as it is television drama at its finest. I did watch the entire season, looking forward to every single new episode. This is the best medical drama that I have ever watched. I’m watching with bated breath to see if it will show up on the fall schedule…PLEASE PLEASE PLEASE renew this fabulous show!